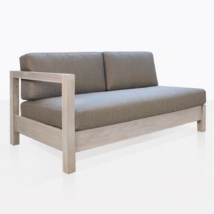 The Kent Street Furniture Collection is a must have, it embodies everything you want your outdoor furniture to be. It has clean lines, sophistication and is impeccably built. 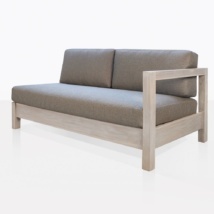 It features a left and right daybed that can be used separately or paired together to form a long sofa. The teak frame is robust, solid and exudes quality. 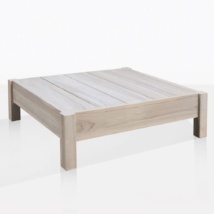 The teak has a white wash finish, that is soft and natural. 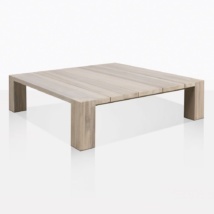 The teak will continue to age beautifully into a soft grey over time. 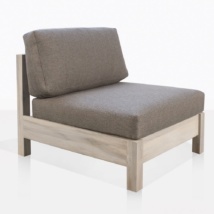 Create a luxurious outdoor seating area with the Kent Street Collection. Each piece is sold individually and always is always fully assembled. The stunning Sunbrella® Cushions are included as shown! They have a wonderful soft brown color with hints of grey allowing this collection to fit seamlessly into any space.